The Next Generation of Hoops! Fitness instructors can engage their students with plenty of activities using these Skinny No-Kink™ Hoops. Perfect for strengthening flexibility, coordination and rhythm, these hoops let little athletes set up obstacle courses, races and exercise stations or simply twist away to music to burn calories and boost physical stamina. These hoops are ideal for young children, as the skinny design is easier for small hands to grasp than full-size hoops. 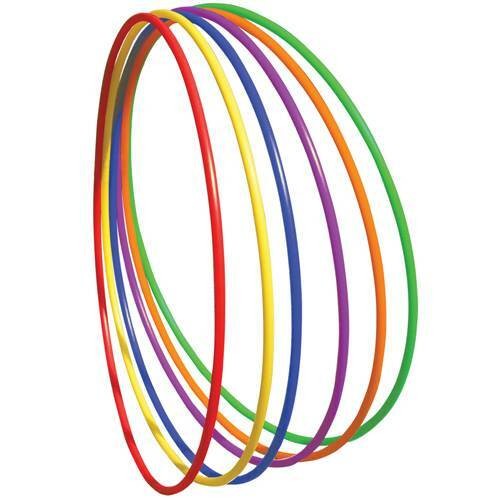 With six vibrant colors, these hoops are bound to stand out during the next gym class.